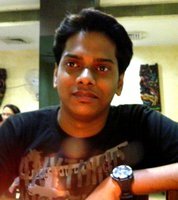 I am a graduate of Birla Institute of Technology, Mesra (Ranchi, India) and received my Bachelors of Science in Animation & Multimedia. I love all the aspects of art and design. My passion lies with design whether it be illustration, infographics, character or layout design. Illustrations (Editorial & Theme based), Info-Graphics, Print Designs & Layouts, Graphic Designs, Motion Graphics and many creative experiments :). Trained in design with advanced knowledge of Adobe Photoshop, Illustrator, After Effects, Premiere, Quark Express and 3ds Max.